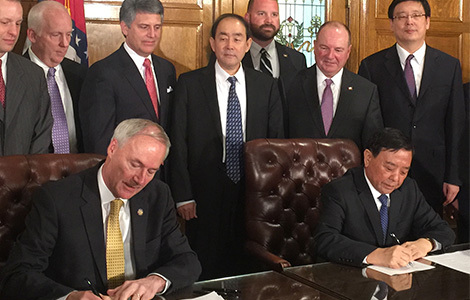 On April 26, 2016, Chairman Li and Governor of Arkansas Asa Hutchinson signed a Memorandum of Understanding in Little Rock, Arkansas, in the witness that Sun Paper has selected Arkadelphia City of Arkansas for its first pulp mill in the United States. The project will create 250 full time direct jobs and 1000 indirect jobs in the local, with an estimated investment of $1-1.3 billon. The project mainly produces dissolving pulp with the annual capacity of about 600,000 tons, which will consume 3.5 million tons of southern pine chips a year. Assuming one ton of viscose can be produced out of 1.03 tons of dissolving pulp (one ton of viscose from one ton of cotton), production of 600,000 tons dissolving pulp can save 583,000 tons of cotton, In addition to viscose, the end products of dissolving pulp also include textile, auto tyre, cigarette filter, pharmaceutical, detergent and paint. The project has a spate of byproducts, including tall oil (50,000 tons/year), lignin extract, methanol, acetic acid, bioethanol, lactic acid, foodgrade xylitol, xylitol and feedgrade xylooligosaccharide. Among them, tall oil can be used by mining enterprises as floatation agent for beneficiation or by chemical enterprises for fractional distillation to produce tall oil rosin, fatty acid of tall oil and tall oil pitch. Current production of ethanol and lactic acid uses corn starch as the main raw material, but Sun-Bio U.S. Company's project uses "liquid waste" from the production of dissolving pulp as raw material, and applies biological fermentation or chemical transformation to produce ethanol and lactic acid. While fully tapping the timber's value as raw material, this approach alleviates the heavy reliance of these two products on grain raw material. The project will adopt the world's most advanced production process BAT, implement more rigorous environmental control, and set up a new benchmark in American pulp and paper industry with its environmental and sustainability standards by applying the Best Available Control Technology (BACT).  The project's power selfsupply rate is about 300%. In other words, it will produce 123MW electricity, 80MW of which can be sold on the power grid after power demand for production is satisfied. This will be the most advanced and efficient Sun-Bio project in North America with the largest singleunit capacity, and the highly refined products will make it even more competitive. It is a substantial step in the largescale development of Sun-Bio industry and a good example of respecting the climate goal and promoting industrial sustainability.